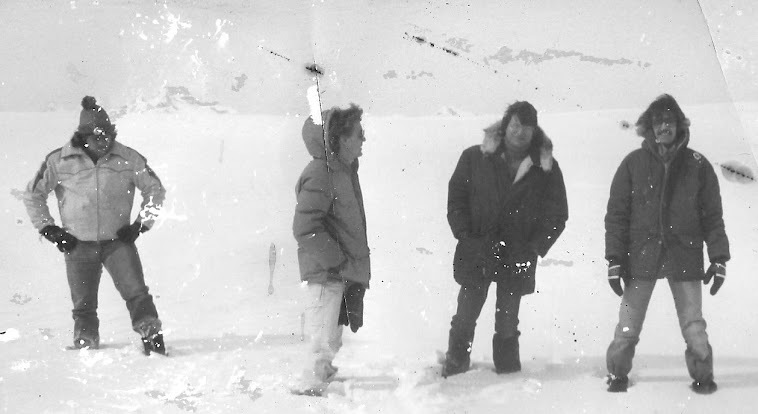 THE THING, having been produced on the cusp of a digital universe, is a resolutely all-analog film, without a frame electronically processed. 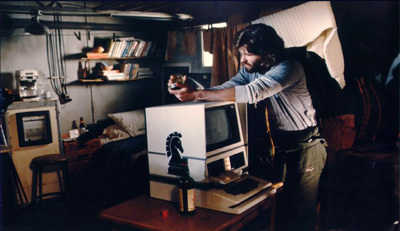 It is somehow fitting that the computers appearing in the movie are both mock ups, non-functioning props made out of bits and pieces, with the video display portion in both cases shot well after principal photography. 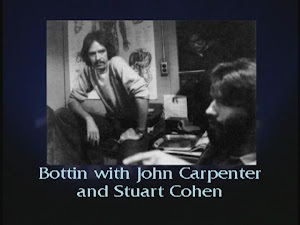 Originally a much shorter moment containing less specific information, with Blair at the computer John essentially created a new scene in post-production built out of inserts. The only two pieces done during filming were those of Blair intently watching. John saw this as an opportunity to hammer home to the audience, in the simplest possible way, the idea of assimilation and it's consequences ( this became a primary concern as editing on the film advanced ). It was then transferred ( at a special 24 frame rate in order to avoid scanning lines) to U Matic 3/4 inch tape, fed back to a monitor, and photographed. Mr Cohen, am I right in thinking that the computer simulation run by Blair simplifies the concept of the Thing too much? In the simulation, we see that the Thing-cell attacks a dog cell and then that it takes its appearance. There seems to be only one cell at that point, the Thing-cell disguised in the dog-cell. The dig-thing cell then attacks another dog cell and starts the process over. If we apply this principle to the Thing, this would for instance mean that when the norwegian body attacks Bennings, at the end of the assimilation process, there wouldn't be the norwegian body and a Bennings-Thing (which is the way the Thing is supposed to work in the movie) but only a Bennings-Thing (if we rely on the simulation run by Blair). That's why whenever I show this movie to friends (which happened quite some times when I was a teenager :) ), I've always explained that the simulation does not quite represent the way the Thing works, as it doesn't give the feeling that it multiplies by assimilation. Was I correct or wrong in this assumption? @Gary - That's how I've always understood it as well - Mass is conserved, and the thing reproduces. It eats something and spits out a thing-imitation of equal size and mass (at least that's how it works in Who Goes There, and it appears to be what we see going on in the kennel). A question I've always pondered is "is Blair infected at this point?" If he is, then it's The Thing checking how long it will take to take over the planet. He then gets the gun to start the process of being locked up and begin it's dastardly plan for world hegemonisation! This is an absolutely amazing site, as I'm sure you've grown sick and tired of hearing! But it really is. All I wanted to chime in on was the idea of Blair and the infection. 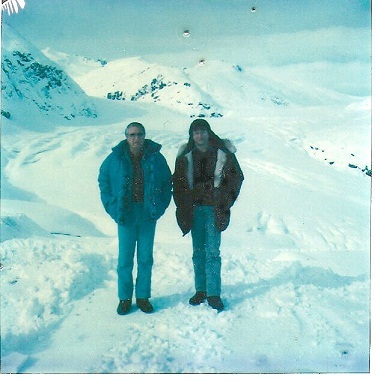 SAM PECKINPAH'S THE THING ?